Ventilation ducts are one of the most commonly overlooked areas of the house when it comes time for spring-cleaning. They are the ultimate “out of sight, out of mind” area in the house. Not only are they eminently forgettable, they are also difficult to clean effectively without special equipment. 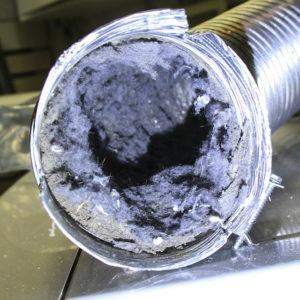 Compiled below are a number of commonly asked questions about duct cleaning. A.- This is a very common option that duct cleaning services offer.Ventilation ducts are indeed an excellent environment for promoting mold and fungus growth, however unless you have a respiratory condition or mold allergies, the presence of most mold or fungi may never affect you. As far as safety is concerned, most commercial sprays used by the industry have been deemed safe, although their role as a carcinogen is up for debate. However, if you have young children, elderly folks or a family member with a respiratory condition, you should consult with a doctor and with the HVAC professional about spraying for mold and fungus.